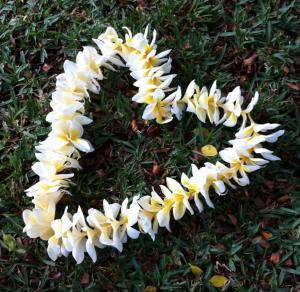 COME FALL IN LOVE WITH YOUR UKULELE AS YOU IMMERSE YOURSELF IN OLD STYLE HAWAIIAN MUSIC AND ALOHA CULTURE. Spend 5 intimate days on the Spirit Isle experiencing the roots of what has inspired generations of Hawaiians to create beautiful music… Walk the land, swim in the waters, eat traditional foods, learn the language, talk story, dance hula & most of all play LOTS of happy Ukulele music!! 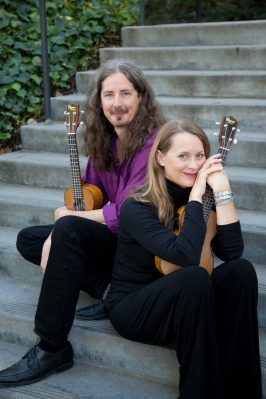 During this April Uke Ohana workshop we have a special treat for Ukulele lovers everywhere: Renowned Ukulele artists Heidi Swedberg and Daniel Ward will join Lono teaching a variety of ukulele techniques and Old Style folk music of Molokai and Hawaii. 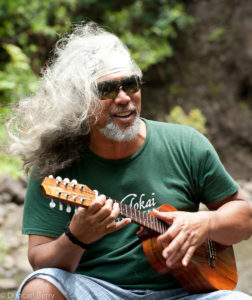 Uke Ohana will feature LONO, one of the Hawaiian Island’s most beloved and talented folk artists. He is a prolific composer of original old style music, having released 8 CD’s, and is an inspirational teacher and charismatic performer. His music and stories of island life will inspire your Ukulele and songwriting talents, while you experience the beautiful landscapes and culture of Molokai’s East end. Visit Lonomusic.com to hear his wonderful music. This name comes from its rich cultural heritage, that is carried on today with honor and purpose, creating a sustainable future for the island. Its population of predominately Hawaiian descent, allows you to genuinely experience the roots of Hawaiian music and lifestyle. Molokai is also known as a place of powerful prayer, it has a long history of teaching and healing, and is the sacred birthplace of hula. The Uke Ohana workshop will take place on the lush and tropical east end of the island where you will relax, moving at a slower pace, and learn to play and compose traditional and contemporary hawaiian folk music of your own . 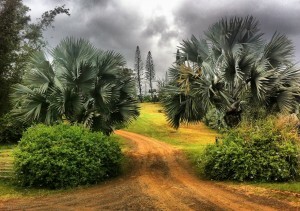 (“Hill of Stars”) a historical 14,000 acre working ranch. We will feast on traditional gourmet foods harvested by the local community and venture on foot into the nearby Halawa Valley with its ancient Taro fields, twin waterfalls and warm beaches.